Gabriela is doing her MSc in Tropical Forestry in the University of Dresden, Germany. Apart from being a coffee lover and a curious traveler, one of her passions is the Eastern Plains of Colombia where she did conservation work with palm communities. Currently, she is planning to develop her thesis research about fire management in the Colombian savannas. 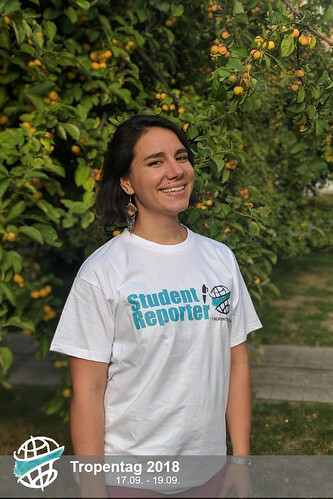 She believes that being a Tropentag student reporter is an opportunity to communicate through simple and attractive channels on what’s happening in the scientific community. This year, Gabriela is going to be part of the blogging and photography team, which she hopes to use to dig deeper into the agroforestry field and uncover interesting discussions about land and biodiversity conservation.